BPX-AC-PROTECTIVE-BUNDLE for Impact X & Gravity X Reliability Direct, Inc. Your Direct Source for Reliability, Maintenance, Test & Measurement! 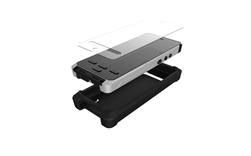 BPX-AC-PROTECTIVE-BUNDLE is The best insurance for keeping your device free from damages! The product bundle contains a silicone casing, screen protector and wrist strap.